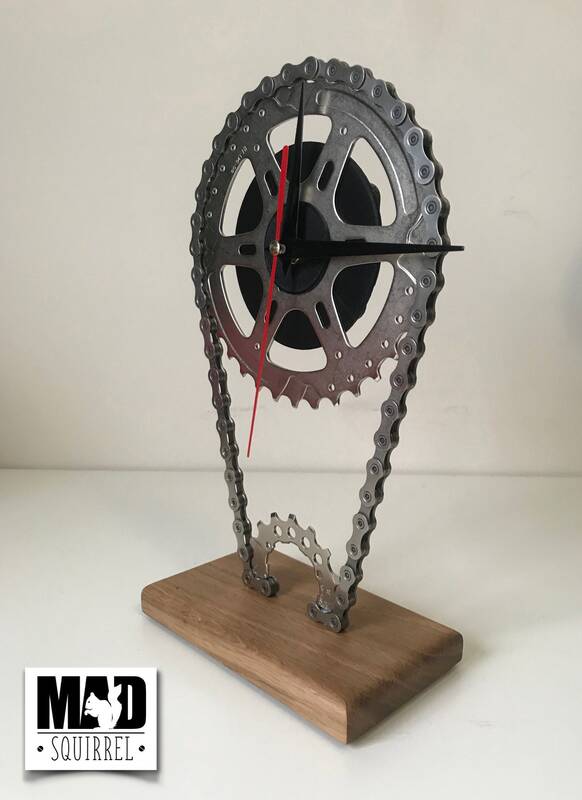 Elegant Floating Sprocket Desk/Shelf Clock with a Sprocket and Black Face, Black and Red Hands and a part sprocket on the base. 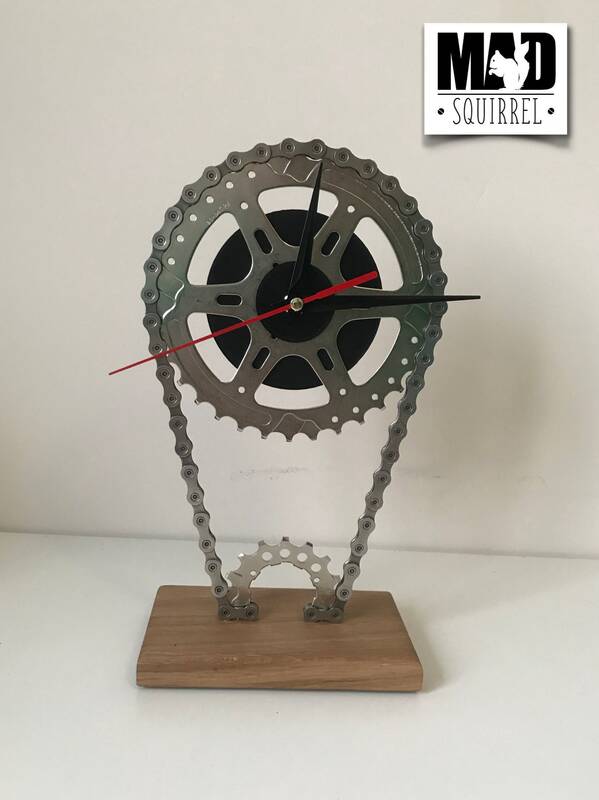 The beautiful handmade Desk/Shelf Clock has been created from a new sprocket floating in the air held up by polished chain and a part sprocket on the base, having the look of a bicycles crank and cassette. 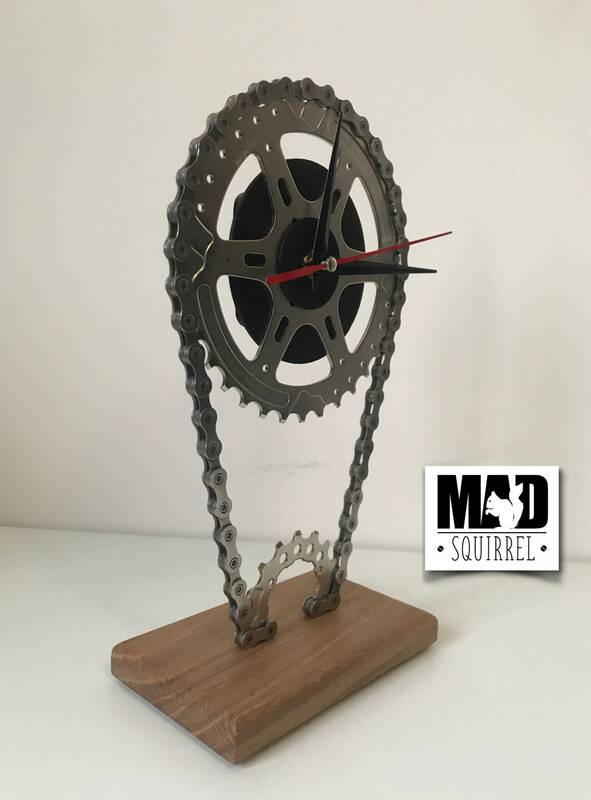 This clock is one of MADsquirrel unique designs and hand made. 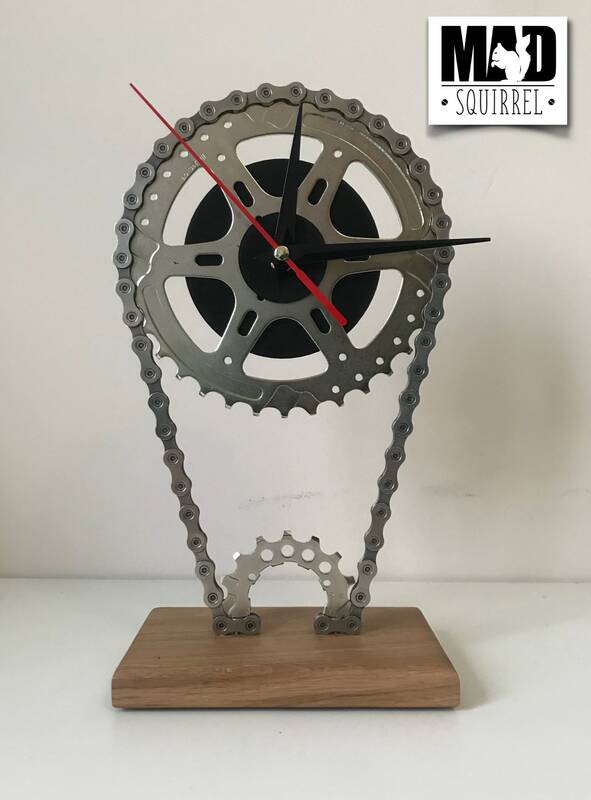 This wonderful desk clock has been designed with an elegant but simple look with an added dimension of the part sprocket. 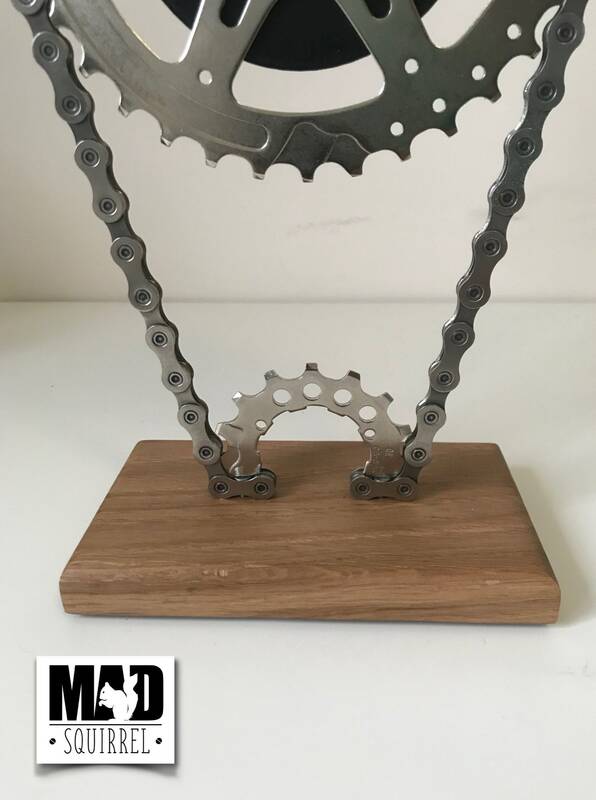 The base is made from Solid Oak which has been waxed to give it a beautiful finish and has 4 small rubber feet. 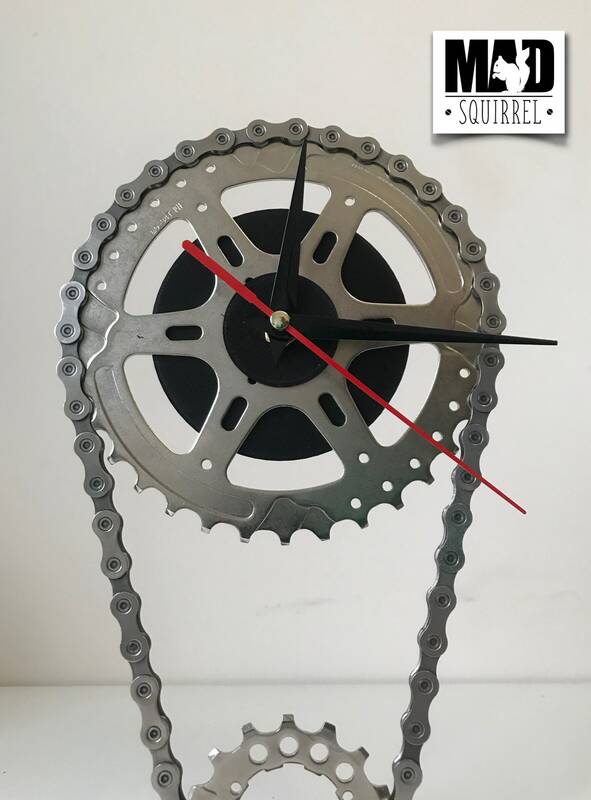 145mm by 80mm by 250mm please add 20mm for the hands as they rotate. 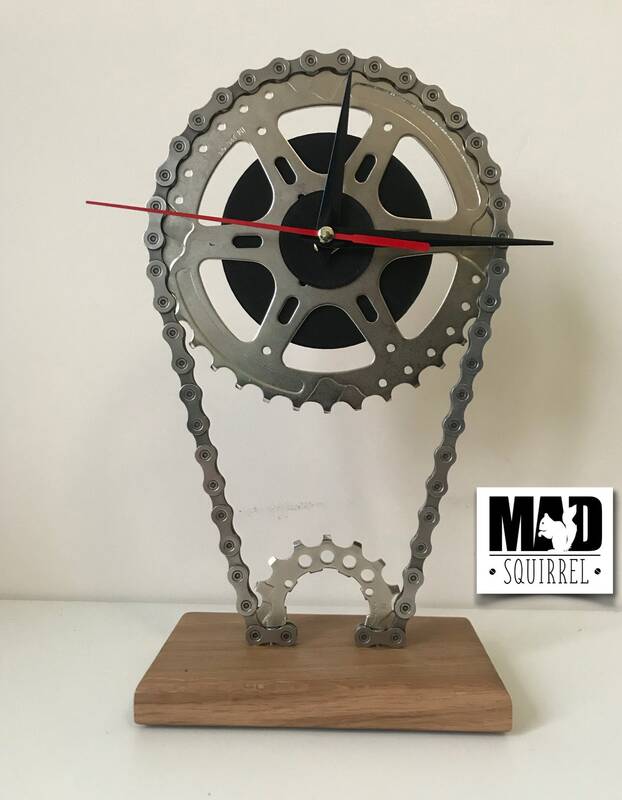 The Clock takes a AA battery which isn't included as it can cause trouble with Royal Mail.